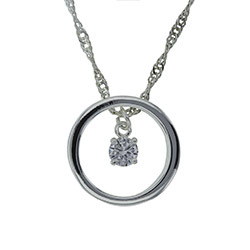 We are excited to provide you and your family with a variety of necklaces that beautifully signify heart and love. We invite you to look for your favorites and get yours today. 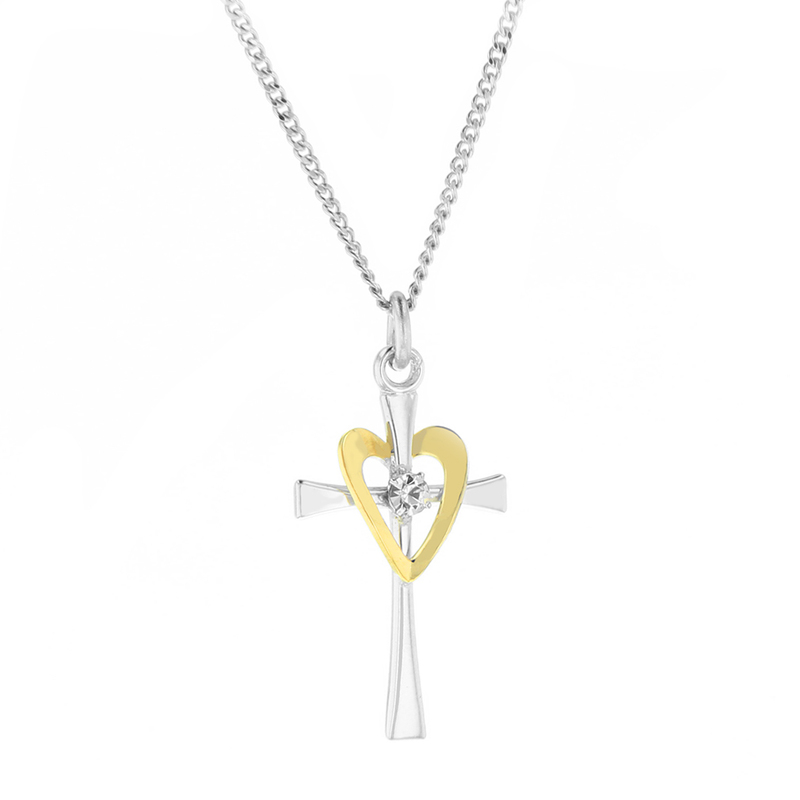 This beautiful sterling silver necklace features a gold plated heart and crystal stone in the middle of a cross on an 18" chain. 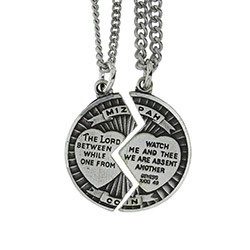 This Mizpah coin is two necklaces in one. Includes an 18" and a 24" chain. 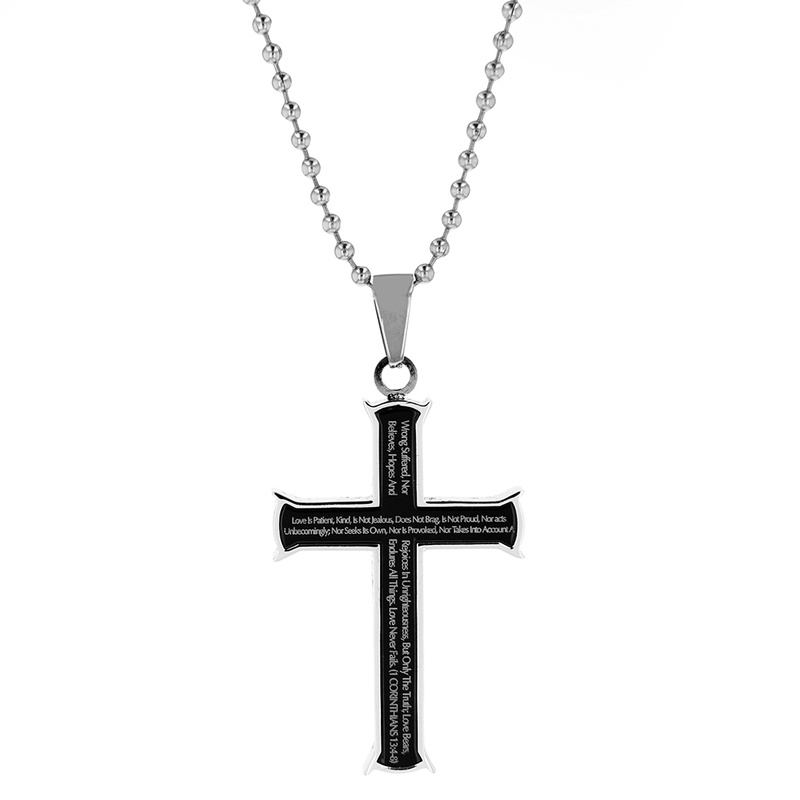 This necklace is a rough cross with a long tailed heart and cz stone in the center.Includes 18" chain. This silicone pendant is a great gift for all young girls. 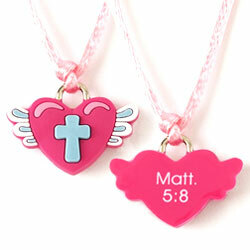 The pendant comes on a 24 adjustable lace cord and features a heart with wings and a cross on the front and Matt. 5:8 on the back. This is a cute and trendy necklace featuring the word "Love" in a script font with a NOTW circle charm. This silicone pendant is a great gift for young girls. 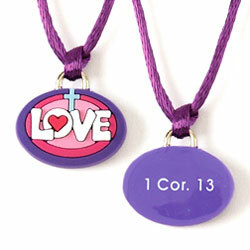 The pendant comes on a 24 adjustable lace cord and features "Love" with a cross on the front and 1 Cor. 13 on the back.